Just when I thought my love for all things Deciem—from every single product The Ordinary has to offer, to my favourite Hand Chemistry hand cream (£9)—couldn't get any stronger, Esho happens. 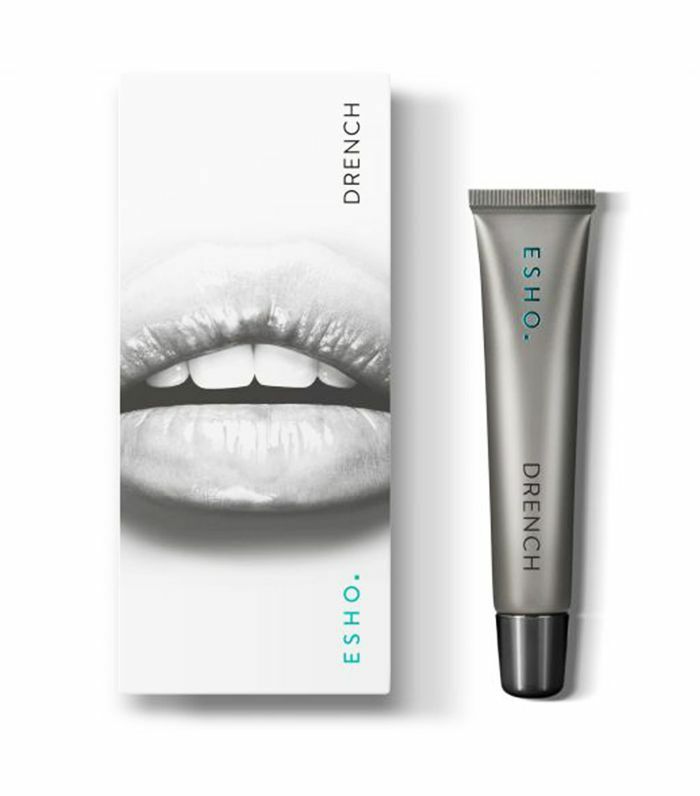 A brand-new name under the Deciem umbrella, Esho is a range of lip products designed by award-winning aesthetic doctor Tijion Esho, MBChB MRCS MRCGP, who is best known as the guy to go to if you want lip fillers (although we recommend you read our guide before you do). The three new products are broken down like this: First, there's a lip plumper called Sculpt (£29) and then there's Pause (£27), a product to use in conjunction with fillers, but it's the third product, Drench, that has got me most excited. Keep scrolling to find out why. Okay, okay, £12 might sound like a lot for what is fundamentally a lip balm when you're used to £2 pots of Vaseline and the like, but hear me out. This time of year, as the season's change, and the weather gets colder, lips can be prone to some serious chapping. You might think you're doing yourself a favour by slathering on a waxy lip balm every five minutes, but before you give yourself a big pat on the back, listen to this: According to Deciem founder Brandon Truaxe, the oils, butters and waxes in traditional lip balms simply coat the surface of the lips, superficially disguising the appearance of dehydration. Yes, that'll lock in any existing moisture, but if your lips are flakier than a croissant, it's likely there's no hydration in there worth protecting. What you need is moisture from an outside source, which is where Drench comes in. Containing clever water molecules and hydrating lipids, it may feel like a watery serum, but it manages to make its way into the inner plumbing of your skin and replaces it with all of that lost moisture. I've been using it on my central heating–ravaged lips for a good week now, and not only has the chapping completely disappeared, but I swear that my lips look a little fuller too. I'm hooked. Like the sound of it? You can find it on the Deciem website, as well as at Victoria Health. If you're a fan of Deciem, here we break down every single skincare product the Ordinary has to offer.